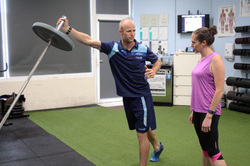 One on One Personal Training at Pivotal is where you get the most focussed, client centred service. From the moment you arrive for your initial meet with a trainer, we do our utmost to make sure that we lead you in the direction that you want and need to go in. One on One Training is all about YOU. Sessions can be varied on the spot to allow for whatever condition you may be in on any given day. When you come in for your first visit, we will take you through our questionnaire which will allow us to gain an idea of where you are, where you want to be and how best to take you there. how to LOAD safely and effectively. Our constant watch and feedback means that we will keep you moving well as you progress with us. 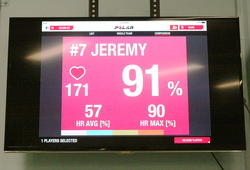 As a Pivotal client we will recommend you wear a heart rate monitor. The ability to asses your heart rate throughout your session allows us to modify the intensity of your program and determine the effects of your prescribed exercises for the safest and most effective training session.